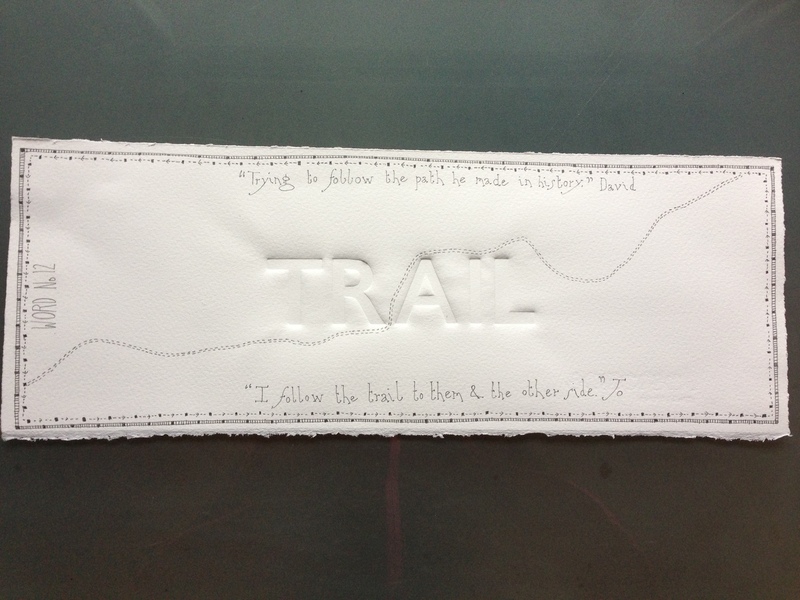 David: The word for today is trail. I have been on the trail of a Victorian ghost for two years. Trying to follow the path he made in history by the scattered trail of information left behind. I have followed him into libraries, archives and even tea rooms. However, the time I feel closest to him is when I try to follow in his actual footsteps, walk the walks he took. The trail becomes a route into him. Sharing in a journey, I feel a wonderful sense of the trail as a physical thing, not just a mental quest, but a whole process that stretches out into our world. Jo: I’m finding this process we’re doing intriguing. I purposely only read about your word just before I respond to it, I’m interested in seeing what my intuitive response is. This could be a result of reading Malcolm Gladwell’s book Blink. My immediate response to your writing was by mentally tracing the trail of where I live in Warwickshire to my home town of Bungay, in Suffolk; but more especially to a village near it called Kirby Cane, where I was born; and finally to its church a couple of miles away in the middle of nowhere to where I was christened and my parents are now buried. For years I followed the trail to visit my parents, alive; then to visit my mum’s grave with dad; then to visit them both there. Physically, I have not been now for a few years, but in my mind I follow the trail to them and the other side, every few days.